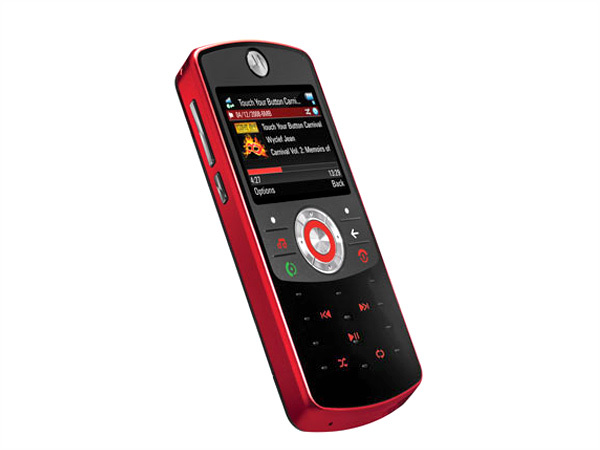 The Motorola Motorokr EM30 is very similar to the Motorokr E8 which inspired the former. In fact the few differences between the twins can be whittled down to a line or two. So, for those of you who are already acquainted with the E8, the EM30 is different because it does not incorporate a haptic enabled keypad or a scroll-wheel. It does not have the 2GB internal memory and follows a different colour scheme. This should give you a pretty good idea what this phone is all about. But for those of you who are still clueless about what we�re saying, read on to get a better picture. The Motorola Motorokr EM30 looks a lot like her elder sister the E8. The only difference incorporated to its bold wedge shaped form factor is a new paint job around the sides of the phone which can either be silver or red depending on the individual model. The rest of the phone follows the same jet black theme that was also ubiquitous to the older rokr. And the family resemblance does not extend only to looks. The EM30 behaves exactly the same as the E8 did. But for the sake of the uninitiated we'll get into more details. Now, like the E8, when the EM30 is switched off, it's just a black uninteresting wedge-shaped thingy. But powering the phone up will reveal to you one of the coolest handsets ever made. And much like the E8, the EM30 has a landscape 2-inch TFT display. The pictures it produces are quite sharp and the phone's sunlight legibility is not too bad. But this landscape display does have its own unique set of pros and cons- while the strange screen orientation enhances the camera and browsing experience, this very same landscape orientation can hamper the phone's user-friendliness when navigating the menus. Speaking of navigation, below the screen we see the 5-way nav-pad that replaces the semi-circular scroll-wheel seen on the E8. This is a blessing because the half-baked scroll-wheel for all its innovation wasn't the easiest to use. And while navigation sees an improvement, the texting experience has bottomed out. But first, some history- the E8 had a pseudo-keypad that worked on the principle of piezo-electric haptics. There were no hardware keys but pressing the key symbols generated local feedback that made it feel like the user was depressing keys. While in reality the idea wasn't so practical, we hailed it nevertheless for being a 'first'. Now, coming back to the present- imagine what happens when you take away the haptics and leave the keypad the way it is? Well, the answer to that is a nightmarish texting experience. It's like pressing buttons that don't exist. Add to that, Motorola have kept the guiding dots on the surface of the keypad that do the job of indicating users where to press. So, while these little nubs help you by telling you where exactly to place your fingers, the fact that they must be pressed hard to register clicks will make your fingers bleed� literally! The only bit that Motorola salvaged from the older E8 is the 'morphing' nature of the keypad. Yes, when the keypad is in text or dial mode, we see the blue alphanumeric illuminations. And when in media mode the blue illumination disappear to be replaced by red ones appropriate to the current function. These media specific keys are between the amply spaced alphanumeric illuminations and when in either mode, the other type of keys remains switched off. 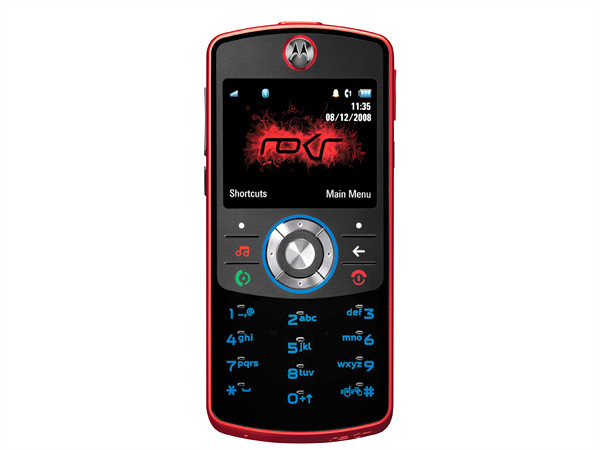 The phone uses the same Linux/Java-based MOTOMAGX UI. It sports a fairly logical menu structure but the phone's landscape display negates its inherent user-friendliness. The UI also lags from time to time like on the E8 and sometimes it even freezes up completely. 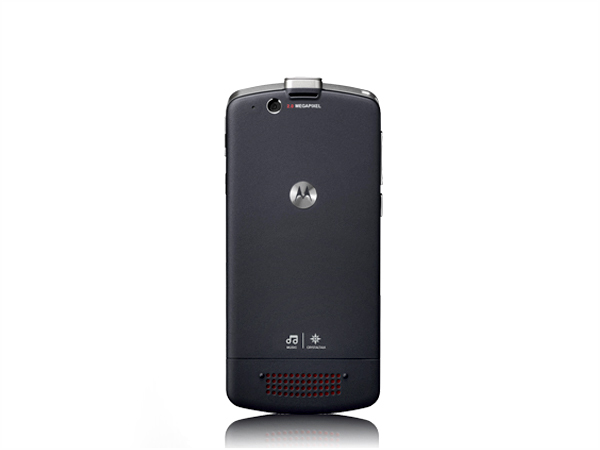 The phone's telephony is provided by Crystal Talk technology which does an excellent job of maintaining good connectivity and enhancing the phone's reception. Our only gripe is that the phone's in-call volume output is generally quite low. The music player is the same as on the E8 (surprise surprise) but has always been simple and functional. There are still no customizable equalizer settings but as a consolation Motorola have included some good presets like Bass and 3D sound. The sound output coming from the 3.5mm headset is decent but is also quite low. The proprietary headset is also good but users have the option to go in for another set if they wish to. The phone's camera is just as it was on the E8- bad. It remains unprotected from dust although it is recessed to protect it from physical scratches. Pictures taken from this 2MP camera show signs of over sharpening, aggressive noise-suppression, loss of detail and on some occasions, wrong colour representation. Another flaw inherited from the E8 is the strange magenta hue seen at the centre of the camera's viewfinder that also makes its way to the final picture. This phone is clearly not a substitute for a real camera. The phone's odd and ends include apps like the Symphony browser and a PDF reader in addition to the regular Java applications like games and an organizer. This concludes our review of the phone. Now for the verdict- this phone is nothing more than a watered down E8. And while the E8 could be excused for its shortcomings on account of being novel, the EM30 fails to inspire users the same way, all the while inheriting it's older sisters flaws. 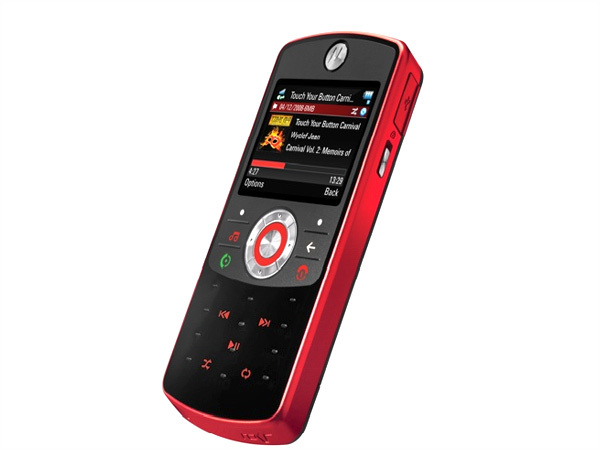 The EM30 is a definite no-no for texters but a good buy for someone looking for a low-mid end music phone.